We live in the modern world – a fact for which we have no antidote. It is the moment in history that is ours. Christians before us have lived in the Roman world, various pagan worlds, the Byzantine world, the world of “Holy Russia,” but we are tasked by Divine Providence to live as Orthodox Christians in the modern world. It is a setting that has its own unique challenges and its own unique temptations. For Orthodox Christians who live in countries that historically have no (or very little) Orthodox history the chances are that their lives will be saturated at almost every point with modern secularism. This is not a philosophy of atheism, but a cultural milieu that understands the world in which we live to be somehow distinct from whatever God there may (or may not) be. A secularist often believes in God – but he believes the world is its own self-defined mode of existence. 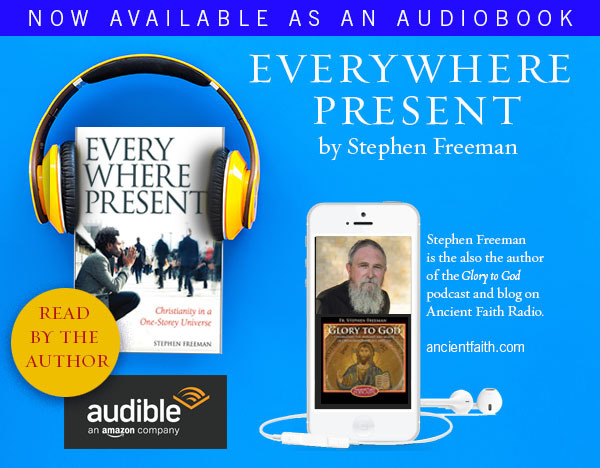 Living in an alien culture is nothing new for Christians – we began in the surroundings of a sophisticated (sometimes) pagan culture (Rome) that was suffused with mysticism from the East, mystery cults, philosophical debate and speculation. It was, we can say, the time and place chosen by God for the manifestation of light to the Gentiles – the Church of the Ages. His statement that “this tragedy must be reendured and relived, precisely as one’s own,” is worthy of St. Silouan of Mt. Athos. The tragedy is the religious failure of the West in the face of modernity (as well as the errors that led to such a failure). But their correction does not come in the context of debate and argument (“the old polemical theology has long ago lost its inner connection with any reality”). The healing is more akin to Christ’s healing of our human sin. In His union with our humanity, our humanity is not destroyed, but healed and deified. On the one hand, this means that those of us who are the children of the West, do not suddenly sound as though we had never lived here. The condemnation of the West (precisely part of the “old polemical theology”) mostly provides grist for conversation, much of which is less than fruitful. Simply being Baptized or Chrismated does not make us “Eastern.” It unites us with Christ’s Holy Church (and Christ Himself) – but it is precisely that union which must not be given short shrift. I have perhaps best seen this displayed in the life and behavior of Archbishop Dmitri of Dallas (retired). A convert from the Baptist Church as a teenager (in 1940), he entered an American Orthodoxy that did not speak English. His analysis of Western culture, and the “religious tragedy” of the West were always keen (often the subject of his sermons) and yet he spoke with a kindness and compassion that made it clear that he did not consider himself superior to the tragedy nor somehow separated from those around him. I cited St. Silouan earlier because of his great love and his maxim: “Keep your mind in hell and despair not.” Within his prayers and inner experience, his love extended to the lost, even the lost in Hades, and he prayed, not as one who was separated, but as one who was himself united to them in their tragedy (while still be united to Christ). We live when and where we are for a reason (known only to God). But it is here and now that we will find salvation, and in the peace of that salvation in its fullness, thousands around us will be saved. 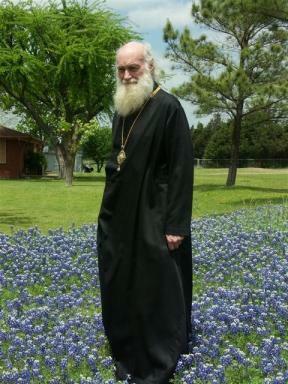 Photo: Archbishop Dmitri in his native Texas (in a field of bluebells). It is interesting to observe the trend towards fragmentation in which we find ourselves (and of which we also are a fragment). It is so contrary to our calling, to pascha, and to our purpose. It is very puzzling to me. Or perhaps this fragmentation is an illusion, that we are no more or less fragmented as Christians now as we were, let’s say, 1500 years ago? Perhaps it is the dying process before we can be united in the new life. His grace seems photoshoped in the picture, if one judges by the cassok. His face and smile go well with the bluebells though. I assure you that there was no photoshopping. He and some staff were driving along one day, saw the bluebells, and his staff convinced him to let them take a picture. He always wears his cassock. I was just joking – didn’t mean to be disrespectful. His grace certainly looks like a man whose company radiates warmth; its a really nice picture too. And just to clear it all, in case you are jumpy, by “his face and smile go well with the bluebells” i meant that are a fitting match in beauty and grace. ….i appreciate and welcome the overall theme of your mesage here Father Stephen if im reading correctly…yet i still find irritating certain phrases and references which i plainly hear as divisive in nature (if not intent) and commonly used through-out all of present day “Orthodoxy” as well…in my limited readings of the apostolic and early fathers of christianity i cant recall any reference to the “Eastern” versus “Western” world view ..or the designation of being an “Orthodox” christian (as opposed to one of those “other” ones)…the “Eastern” tradition is as rife with division/dissention and backbiting as is the “West”..thats a fact easily verified…. you rightly said:”The condemnation of the West (precisely part of the “old polemical theology”) mostly provides grist for conversation, much of which is less than fruitful. Simply being Baptized or Chrismated does not make us “Eastern.”It unites us with Christ’s Holy Church (and Christ Himself) – but it is precisely that union which must not be given short shrift.”…AGREED. This article reminded me what happened in the past few days. I walk daily about 3-4 miles, and I noticed how much I am talking (or praying) to God my Heavenly Father. About: the victims & floods in Austrila, Brazil; and the weather conditions on the eastern coast of the U.S; my family and their salvation & work; my neighbors and their loved ones who are sick. Perhaps, this is what the Philokalia says prayer: prayer of the heart; And, You are no theologian if you do not pray. (once way back I was kind of proud of my degree(s)) But that all went out the window when my wife got cancer) It is slowly dawning on me that my total reliance is on God, my Heavenly Father, through the Resurrected One. Sounds like Orthodoxy to me. The east/west distinction is real and helpful in a theological and philosophical sense (for there are true, substantial and significant differences), but not to be used to create enmity or dissension. Isn’t Baptism or Chrismation an initial step in the long journey toward union with Christ, whether this initial step is taken soon after birth or 40 years later? An “Eastern” heart springs from the grace of God . . . usually not within hours or days or weeks or months or two and a half years after Chrismation. I never understand the hurry for instant *heart* in a box. Pingback: Living Orthodox in the Modern World (via Glory to God for All Things) « Stuck In The World, Making The Most Of It! East and West are useful and correct historical distinctions within the life of the Church. Modernity itself (and secularism) are creatures of the West (for example). The “tragedy” of which Florovsky speaks is the substitution of philosophy and reason for the living Tradition of the Church. Thus, he himself worked tirelessly for a revival of patristic theology, which, at least within the seminaries of Orthodoxy, was beginning to be ignored. He was not alone in that effort. The events of the modern world have also brought about an encounter between “East” and “West” in that we’ve become highly mobile cultures. Florovsky is suggesting that Orthodoxy in the West should not live as a religious ghetto, but indeed encounter and understand the “tragedy” within Western Church history and bring to it the living Tradition of the Fathers. I would even say that this is already happening, in small ways, within and among many Orthodox thinkers in the West. Fr. 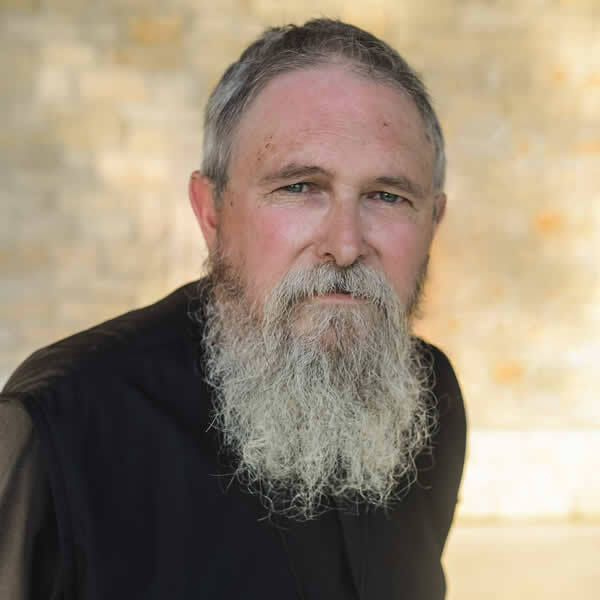 Andrew Louth is an outstanding example, as well as the work of Fr. John Behr (just to name two examples with whom I’m familiar). Yes Fr. Andrew Louth’s “Discerning the Mystery” is worthwhile read in that respect. Hi Father Stephen. I am Orthodox and American and I think I know what Mike is saying… but, Mike, correct me if I’m wrong because I don’t want to speak for you. It’s just that this is something that bothers me. Sometimes this “east” vs “west” thing seems to turn into almost a political argument amongst us, but it’s even more than that.. It seems to be a matter of the “pure east” as opposed to the “evil west”…. as if no sin ever came from the east and that all things west are evil and that any sin that ever did come from the east was caused by the west. As if sin and temptation are due to a point on a compass rather than what’s inside our own hearts and minds. And I think that’s what bothers me the most… because it seems to imply that we Orthodox don’t believe that the TRUTH of our Faith can stand on its own. Even in the previous article about “sloshing” as opposed to “sprinkling”. Why assume that the people of the west don’t want to be “sloshed” and aren’t thirsting for it? In addition, even the comment about the monk regarding how Americans talk about miracles as if they don’t believe in God. Why is it assumed by him that it’s a matter of unbelief? Maybe it’s a matter of downright AWE of God. And why shouldn’t we be awed by God’s miracles? Why do we seem to automatically assume that the people of the west have no desire for or even understanding of sacredness? They are not all secularists and unbelievers. Being in awe of God is being in awe of His sacredness, isn’t it? As an Orthodox Christian, I attend Church regularly, pray, worship, receive the Mysteries, but I’m still in danger of falling. My Baptism into the Faith doesn’t secure me a seat in heaven, so to speak. Don’t I have to choose to follow and try my best to live the FULLNESS of the Faith? If not, then what’s the difference between Orthodoxy and “once saved, always saved”? My imperfect faith (not Orthodoxy), but rather my ability to live up to it, is the defect… and that defect doesn’t come from the west or east or any other direction, but from inside of me. And I guess that’s the bottom line for me and that’s why I don’t understand how we can point to the west. I hope I didn’t offend you or anyone else by my comments and questions. That was not my intent and I hope they don’t come across in an offensive manner. I’m just trying to understand. Thank you for this. I believe there is an insensitivity in our blaming everything on the filioque and the West. Reading through Ouspensky’s “Theology of Icons”… esp. the footnotes, there is indication that when the Pope in the West was under seige, he turned to the East, but with an iconoclastic Patriarch and Emperor, he went instead to the Franks… who told him to take care of himself. Set up what became the Papal states. There is more like this. We have to admit that much of what happened in the West happened because of the East’s pre-occupations and neglect. It didn’t just happen in a vaccuum… and he makes this clear but with the story mostly in footnotes, it’s easy to miss. I haven’t been able to find anyone else covering this. So yes, there was more than a one-way street. I think until we acknowledge and seek forgiveness for allowing the West to stray… because we had not recovered… we will continue to find ourselves unable to recover communion, and unable to recover some of the fullness and charity that in real love we were meant to have within our walls… and within our hearts. And perhaps we cannot be Orthodox in immeasurable fullness until then. Not saying “until reconnecting with Rome”… only until our hearts were more open to a fair look at our history. Have we suffered? Sure. Have they? Sure. Do each of us know it? Seems not … given how we often behave. Can we do better? Sure. It is an offense to truth, scandalous really, that we have to, and can, make a distinction between western and eastern Christianity. We can deny, protest or discount what happened in AD 1054, but we find ourselves in this fragmented state of affairs in AD 2011 none the less. And we can’t turn the clock back. But we can, and must, proceed in love, in spite of the substantial differences. Everything in creation is distinct and this distinction finds perfect fulfilment in the God who transcends all. Schism on the other hand, is a invention of man and it acts along many planes (East/West, Left/Right, Heaven/Earth, etc). -just to point out that for the apostolic and early fathers: there would be no divisions of East/West, as the Church was one – certainly with divisions within it, for ex: Arianism, gnosticism, dualism, etc – but one, nonetheless. Paulette and Jamesthethickheaded, thank you for your thoughtful contributions to the discussion. As our Orthodox faith teaches us, we are all without exception complicit in one anothers’ sin and all in this mess together. We have but one common enemy, the Adversary, and he is an equal opportunity exploiter of our human weaknesses. even outside an Eastern Orthodox context, we can be sure there are no barriers to His love simply because of what faith tradition (or lack thereof) a person lives in. For those who can’t access Youtube, Alex Malarkey, who is 12 now, in 2004 when he was six sustained injuries in a car crash, that are virtually always fatal. He visited Heaven and saw and conversed with God/Jesus and the angels while he lay hospitalized in a coma. His family were and are Protestant Evangelical Christians. How he describes Heaven (which he still visits, mostly when he is sleeping), in both its present manifestation and in its (to us, future) consummation, in this account is completely congruent with Orthodox teaching, including the fact that Heaven isn’t a place separate from this one, and is not really even a “place”, but is “everywhere” and outside of time. Alex is filling everyone in on the reality of our “one-storey universe,” from an experiential perspective. He is living it! I pray an increasingly authentic Orthodox faith will be experienced by God’s people no matter what their backgrounds. From all that Fr. Stephen’s writes, I know this is his perspective as well. Thankfully, Orthodox Christians aren’t limited to our human capacities for making the real nature of Orthodoxy known to those around us–especially fellow Christians. We all bear witness as best we can and, no doubt, make many mistakes along the way. Alex’s story and those of many others show us all that God’s creative capacity for revealing Himself in greater fullness to all who seek Him (and even many who don’t!) knows no bounds. Thank you for this post, Father. Can’t wait to purchase my own copy of your book! I am an aspirant to the Episcopal (Anglican) priesthood. What advise would you give me? Jason I can only offer broad suggestions. Under no circumstances compromise your conscience particularly under the guise of a greater good. Seek God above all. Read the fathers and scripture. I suppose I would ask myself why I was an Anglican. If the Holy Fathers did not spend time analyzing a split between “East” and “West”, that is because for them — as it should be for us — there is only one authentic Christian faith and Church. We cannot a-historically inject into their writings an issue with which they were not dealing. Yes, there are dissensions among the Orthodox, just as there are among the heterodox. A “pot versus the kettle” argument, however, does not mean anything beyond a “let’s deflect the subject” attempt. I like this sentence from Fr. Stephen: “We have not been given a commandment to change the world, but a commandment to obey the gospel.” The core thought is the same as the advice from St. Seraphim of Sarov, which I can paraphrase only, for I don’t remember the precise Russian, as “Save yourself, and thousands around you will be saved.” If ones soul is transformed in Christ, ones actions follow with comparable transformation, and this cannot pass unnoticed by those nearby. As for Vladika Dmitri, I express my personal love for a grace-endowed person whom I have had the blessing of seeing at close hand for many years now. Like all of us, he is imperfect. But I sure would love to stand before my Lord one day with Vladika’s degree of imperfection, rather than my own! Your comments are very insightful. Thanks for sharing. Along these lines, last night I was watching a film with my husband in which the setting took place in the South. A blue grass hymn played in the background at one point and I remembered it from my Evangelical Protestant days, “Do Lord.” At the end of the movie during the credits the entire hymn was sung in true blue grass Appalachian styl,e and my husband and I began singing it together.